Iolite may not be the best known gemstone in the world, but its shifting colors and intriguing history are a draw for gemstone enthusiasts around the world. Iolite is classified as a silicate mineral with the chemical formula (Mg,Fe)2Al4Si5O18. It rates a 7-7.5 on the Mohs scale of hardness and has a greasy luster. 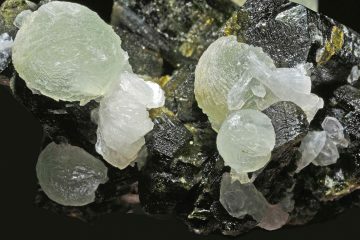 In mineralogy, it is also known as cordierite. 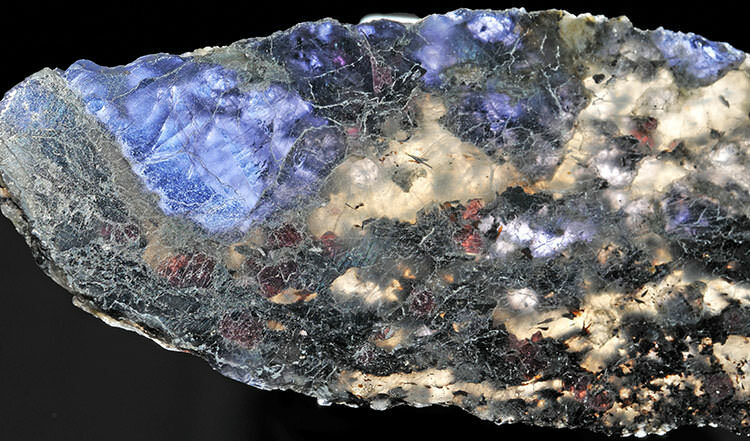 The largest iolite crystal ever found weighed 24,000 carats and was discovered in the state of Wyoming. Iolite is usually mined in the United States, India, Sri Lanka, Canada, Brazil, and Australia, and is found in a number of other locations around the globe. Iolite can come in a variety of colors, generally ranging anywhere in the blue-violet spectrum. The color of iolite depends on the angle you are viewing it from. From certain angles it can appear grayish, and from others it can even take on a golden or brownish color. Some sections may be very light blue, while others may be quite dark. This is not just because iolite has different colors in different spots. It is because the gem exhibits a quality called pleochroism. This simply refers to the quality of a substance appearing to change colors from different points of view, especially in polarized light. Many gemstones actually exhibit low to medium pleochroism, but with these stones, it is often unnoticeable. Amethyst for example has a low grade of pleochroism, but it is very hard to spot. Iolite is one of the stones that features the strongest and most obvious color-changing effects. Iolite is sometimes used in jewelry, and may be worn rough, tumbled, or cut. While it is not as popular as better-known gemstones, it is a traditional gift to commemorate a 21st wedding anniversary. 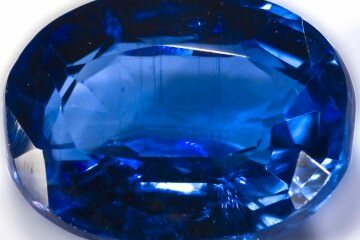 Its appearance is close enough to sapphire that it is sometimes used as a substitute. Iolite is more common and less expensive than sapphire, which makes it an affordable alternative for those who love that deep blue color but cannot purchase a precious gemstone. It is also softer and may be easier to cut. Iolite also had an interesting historical use to the Vikings—more on that in a bit. Iolite has uses in industry, or more specifically cordierite does, the mineral iolite comes from. It is used in heating implements and also has great insulating properties which make it perfect for a variety of electrical applications. Iolite can range quite a bit in price. While it is generally inexpensive compared to sapphire, a high quality iolite gemstone may cost hundreds of dollars. Lower-quality iolite stones are substantially less expensive. While iolite itself is relatively common, very fine pieces are not. Iolite’s value is typically determined by its colors and its clarity. Usually above one carat, iolite gemstones become cloudy. Finding an iolite above one carat which exhibits good clarity can be a challenge. According to GemVal, a single carat of high-quality dark blue iolite is worth roughly $64.40. Viewing the chart, you will notice that the deeper the blue-violet color, the more highly the piece is prized. The paler the blue, the less the iolite will cost. One carat of light violet-blue iolite has an estimated value of $46.44. Ten carats of that same light violet-blue iolite would run around $139.32, and 10 carats of the darkest blue would cost about $193.17. Interestingly enough, the most valuable iolite of all is colorless iolite, simply because it is so rare. A single carat is estimated at $104.05, and 10 carats are estimated at $312.11. Still, this is nothing next to the cost of a sapphire. A single carat of sapphire can easily run you $300+, depending on the quality. Still, this shouldn’t make you think that iolite is always inexpensive. The highest-quality iolite can still run you a cost similar to sapphire, and iolite engagement rings can be quite pricey. Cutting iolite for jewelry can be challenging for a couple of reasons. Firstly, a piece that exhibits good transparency is needed. A cloudy cut gemstone does not really exude a beautiful effect. Cloudy iolite pieces can still be very lovely, but tend to work better as tumbled or rough-cut gemstones in jewelry. A cut iolite gemstone must be clear enough and large enough to work with. In addition, the jeweler may struggle to orient the material in a way that brings out the colors. If the piece is cut or mounted the wrong way, it may appear grayish or brownish instead of blue-violet. In fact, some pieces may be impossible to cut or mount in such a fashion—even if they exhibit great clarity or they are the right size. Now you can understand why gemstone quality fine iolite can actually be quite valuable and costly, despite the fact that iolite is only rated as a semi-precious gemstone. Iolite works great for any type of jewelry: pendants, necklaces, bracelets, earrings, rings, and more. Because iolite gemstones are often smaller than a carat, they can be particular well-suited to smaller applications like earrings. Gemstone engagement rings are also increasingly popular these days, so you can find iolite engagement rings as well, often wreathed in diamond settings. How much can you expect to pay for such a ring? Typically, you are looking at $1,000-$4,000. The cost can vary based on the quality of the iolite and its size, as well as the setting of the ring. Obviously an iolite ring with diamonds is going to cost the most, because you have to factor in the cost of the diamonds. 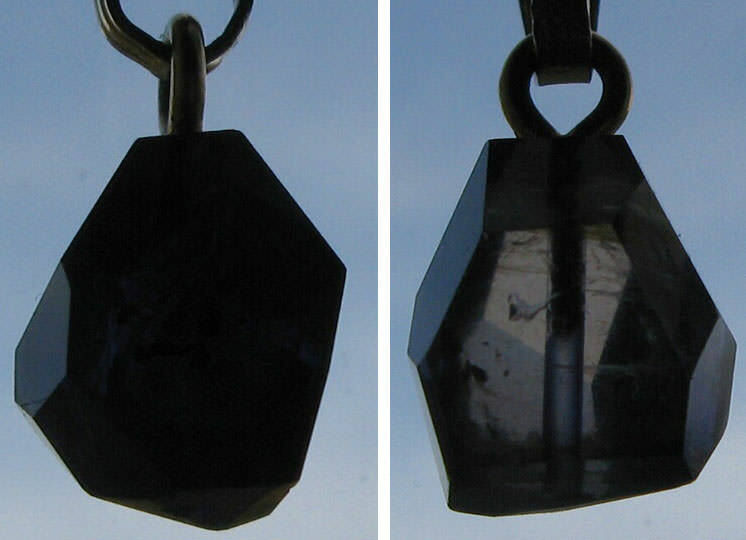 Because of iolite’s pleochroism, it displays an incredible color change effect at different angles. A high quality iolite stone with the right cut will exhibit a dramatic effect. The colors are deep, vivid and beautiful. An engagement ring set with iolite is very unique, and you are not going to run into a lot of other people who have one. Iolite is not very traditional. A lot of people still prefer a traditional diamond engagement ring. A third option which unites tradition with uniqueness is to choose an iolite engagement ring which is surrounded by small diamonds in the setting. Iolite is susceptible to breakage, so it must be worn and stored with care. Cleaning iolite is relatively simple, but there are a few things you should know. Despite the fact that iolite is a pretty hard gemstone compared to many, it is susceptible to sudden changes in temperature or great heat. Either can cause the gemstone to fracture. The cleavage planes of the crystal are quite delicate. Any hard blow can cause an iolite stone to fragment. So be very careful wearing, storing, and cleaning the stone. Never use an ultrasonic or steam cleaner. Stick to warm water and a gentle detergent. You can rub iolite gently with a toothbrush to scrub it clean. Storing iolite is largely a matter of keeping it protected from breakage. Store it inside a soft container, and be extra careful traveling with it. Any hard knocks could shatter the stone. Also store iolite away from heat and light. Do not leave it out in direct sunlight. Keep it in a cool, dark place. Iolite’s history is an interesting one, connected to its remarkable color-changing properties. 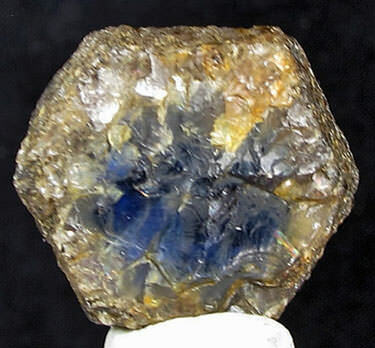 The stone is sometimes referred to as the “Viking Compass.” While historians are still not 100% sure that iolite was the stone used by the ancient Vikings to navigate on their journeys across the seas, it seems one of the most likely candidates. In the cold waters navigated by the Vikings, there is a phenomenon which takes place called Arctic sea smoke. When cold air moves across warmer water, vapor can rise, obscuring the sun like a fog. The sky may be fairly clear, but the horizon, land, and other objects can be impossible to distinguish, making navigation tricky. Historians believe that iolite helped Vikings find the hidden sun. This theory was first proposed by a Danish archaeologist by the name of Thorkild Ramskou. In fact, it was Ramskou who coined the term “Viking Compass” which is now so commonly used to refer colloquially to iolite. While reading the Sagas and other Viking texts, he found a number of references to a Viking “Sunstone” used for navigation. Ramskou’s theories were based on a combination of what he read in the text and his existing knowledge of an instrument used by SAS trans-arctic pilots for navigation referred to as the Twilight Compass. Ramskou thought perhaps the Vikings had used a locally occurring mineral in a similar fashion, and thought of iolite. Iolite could be found in the right part of the world, and just holding up a piece of iolite to the sky and turning it this way and that is an easy way to observe its pleochroism and guess at its possible application in navigation. By looking up at the cloudy sky through a thin piece of iolite, in theory a Viking navigator could have located the sun and ascertained his position and direction. 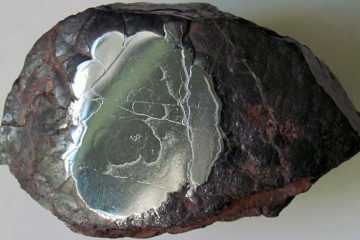 The polarizing effect of the stone would have scattered haze and cancelled out atmospheric interference from mist and clouds, revealing the sun. It’s worth noting that Ramskou’s theory is by no means proven, and there are a few other possible stones which the Vikings might have used as their fabled “Sunstone.” Not among them are the variety of feldspar family stones that we call by that name in the present, which in no way relate to the Viking Compass. Another strong possible candidate is a form of calcite referred to as “Iceland Spar.” Other possibilities include andalusite and tourmaline. Ramskou believed iolite was the most likely candidate because of its strong pleochroism as well as the fact that it is abundantly found throughout Norway. Its availability to the Vikings would have been excellent. Archaeologists have also run modern-day navigational experiments using iolite, and have discovered that it would indeed have sufficed for the Vikings’ purpose. Was iolite truly the world’s first polarizing filter? If you research iolite online, you will find a lot of different websites proclaiming that in fact it was. In truth, archaeologists and historians still are not sure, and continue to research the question to this day. While iolite’s main application may have been in navigation, it certainly was not the only one. Iolite was officially given its name in 1912, and was quite popular in jewelry, particularly in the 18th century in Europe. Today, iolite is not as widely used in jewelry, but you can still find iolite rings, pendants, earrings, and more. Whether or not iolite truly was the legendary Viking Compass used to navigate across the northern seas, its meaning is strongly tied to the fable. Iolite is associated with finding your way through life. It is seen as a spiritual compass which can help the wearer to find his or her direction. Because of its deep violet, blue, and indigo hues, it is also associated with the third eye and crown chakras. These are the chakras associated with sleep, dreaming, and access to higher spiritual planes. For this reason, iolite’s meaning is tied to lucid dreaming, and navigation between the waking world and the world of sleep. It is a stone associated with prophetic vision, creativity, and safe travels. This video shows just how beautiful high quality iolite can be. This particular iolite gemstone is from Madagascar and weighs 8.3 carats. Iceland Spar: This is a special type of calcite which displays pleochroism. It is a clear gemstone and a strong contender for the historical Viking Sunstone. 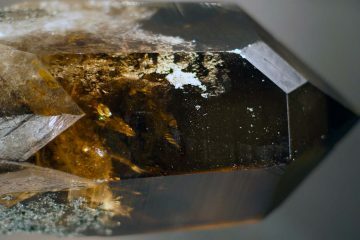 Andalusite: This gemstone shifts colors between yellow, olive, and brown, depending on the angle you hold it at. The stone is often cut with an oval, emerald, pear, or marquis shape to maximize this effect. Tanzanite: This gem displays striking pleochroism, but many people are unaware of the fact. Why? Because it is principally prized for its color, and is often heat-treated so that the deep indigo hue will be more pronounced. This makes its color appear uniform and dampens the polarizing effect. An untreated tanzanite piece with strong pleochroism may display hues of blue, purple, yellow, and brown. Kyanite: This stone displays different areas of light and dark blue, generally with a very uneven distribution. Kunzite: This gemstone is both pleochroic and dichroic; it not only polarizes light, but also changes colors. Sphene: Depending on the angle you view this gemstone at, you might see green, yellow, or reddish hues. At other angles, the gem appears completely colorless! Sphene may not be the most well-known gemstone, but it is quite a dramatic one. The abundance of different hues can really sparkle so the stone seems to glow from within with a stunning fire.